Considered the most important position in baseball, a good shortstop is vital for any team looking to make it far in the playoffs. Since the turn of the century, we’ve seen many talented shortstops anchor teams en route to the World Series, but who among them deserves to be called the best shortstop of the 2000s? 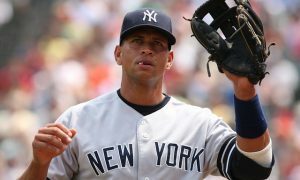 Alex Rodriguez – Despite a career tarnished by allegations of steroid use, Rodriguez will remain as one of the greatest players of all time. For the purposes of this list, he isn’t ranked since he played at third base for the majority of his years after 2000. Still, he won an MVP in 2003, hit 57 home runs in 2002, and recorded an astounding 10.4 WAR in 2000. Amazingly, his total WAR spanning from 2000-2003 when he was shortstop is almost the same as most of the other players on this list career WAR. A player who’s career spanned 4 decades, Vizquel enjoyed many fruitful years in the 2000’s with both bat and glove. The best fielding shortstop on this list, Vizquel won a combined 11 Golden Gloves. He was no slouch with the bat either hitting .295 with double digit triples in 2006 at the age of 39(!). Even at the age of 43 with the Chicago White Sox in 2010, Vizquel still batted .276 with a positive WAR. Once held in the same stature as Alex Rodriguez and Derek Jeter, Garciaparra’s career could be looked at as underwhelming in that vein. However, at his peak, he was a devastating hitter including a ridiculous .372 average in 2000. He posted over 120 RBI’s in 2002 and hit 56 doubles. While Garciaparra’s career WAR pales in comparison with his colleagues at SS, his WAR7 score (Sum of the 7 best WAR scores in a career) is 13th best all time, ahead of Ozzie Smith and Jeter. Garciaparra tailed off towards the end of his carrer, and although he had a good season with the Los Angeles Dodgers in 2006, his career remains one of baseball’s biggest “What If’s?”. After a few sub-par season in the late 90’s on the Florida Marlins, a move to the St. Louis Cardinals unleashed his potential. His best season was in 2003 where he batted .330 and hit 100 RBI’s with a respectable WAR of 5.6. Renteria has a knack as a big game player. In 1997 as a member of the Marlins, he knocked home the winning run in Game 7 to give the Marlins their first World Series title. 13 years later as a member of the San Francisco Giants, he hit game-winning home runs in Games 2 and 5 en route to winning World Series MVP. Transitioning from a speedster on the bases earlier in his career to a power hitter later, Ramirez’s best season was definitely 2009 where he batted .342 with over 100 RBI’s en route to finishing second in the MVP race that year with a WAR of over 7. A former Rookie of the Year winner, Ramirez became injury prone later in his career which impacted his stats. His ranking on this list is somewhat impacted by the fact that when another player on this list was traded to his team, he was forced to make way to a new position. Furcal was one of the most underrated players of the 2000s. A mainstay on those underachieving Braves teams, he then moved to Los Angeles where he had his best season in 2006 posting a .300 batting average. A former Rookie of the Year winner, Furcal recovered from a late career slump to help the Cardinals win the 2011 World Series title, embellishing his own resume in the process. 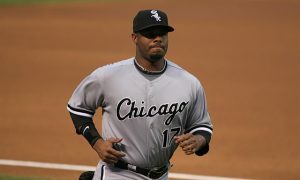 Reyes was one of the smartest baserunners in the league, stealing more than 50 bases in four consecutive years from 2005-2008. However, some people may have forgotten that he was also a hitting machine, tallying over 175 hits in seven different years. His 2011 season, which saw him bat .337, also showed that he wasn’t a slouch as a power hitter either, with a respectable OPS of .877. Perhaps a surprise being ranked over Reyes and Furcal, Tulo has built a solid career primarily playing for the Colorado Rockies. His best year was in 2011 when he reached the 30 home run, 100 RBI plateau coupled with a .300 batting average and a WAR of more than 6. 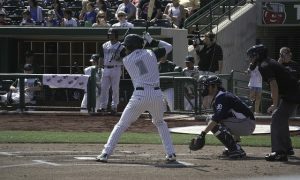 He has endured a few sub-par seasons with the Toronto Blue Jays in recent times, but a player of his caliber surely will bounce back. An integral part of those Phillies teams that continually challenged for glory in the late 2000’s, Rollins won an MVP in 2007 showing a brutal combination of power and speed, hitting 30 home runs and 20 triples while recording a WAR greater than 6. Rollins is also a fantastic defensive player, with his speed allowing him to make the incredible look routine. He owns the third best fielding percentage of all time. A youngster on those Moneyball A’s, Tejada broke through in 2002, notching 34 homers and batting .308 while winning AL MVP. He kept up his offensive prowess on the Orioles in the mid-2000s including driving in a ridiculous 150 RBI’s in 2005. Tejada has made six all-star teams, winning the All-Star Game MVP, and two Silver Sluggers . Despite being a part of an explosive Orioles lineup featuring Javy Lopez, Rafael Palmeiro, Brian Roberts, and Melvin Mora, Tejada could not get the Orioles out of a rut of losing seasons from the late 90’s. The Yankees personified. If the old Yankees stadium was billed as “The House That Ruth Built” due to the exploits of the great Babe Ruth in building the Yankees as a powerhouse dynasty, then the new Yankees stadium should surely be called “The House That Jeter Built”. One of the greatest players ever, Jeter is well on his way to Cooperstown in 2020 and could become the first unanimous inductee to the Hall of Fame in the history of baseball. Jeter has been to the All-Star game 14 times and won Rookie of the Year honors (1996), All-Star Game MVP (2000), World Series MVP (2000), five Silver Sluggers and five Gold Gloves.